Augmenting keyboards with additional expression is a tradition that goes back nearly a century. 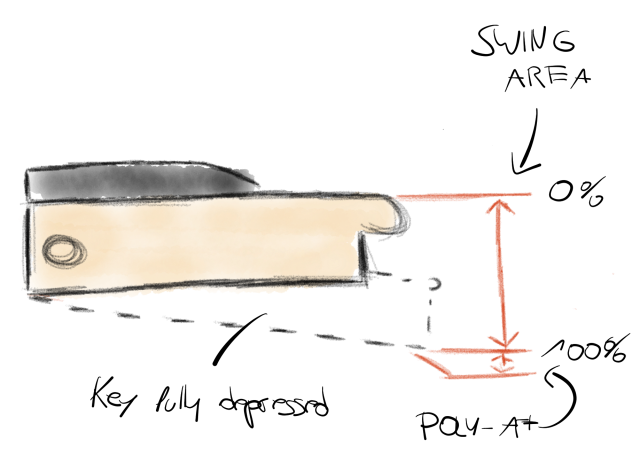 Inventors have tried keys that bend and wiggle, add-ons from pulleys to ribbons, wheels and pressure sensors, and more – anything to extend the piano and organ beyond their on/off playing methods. But now, the Web has accelerated the ability to communicate and develop these ideas. Crowd-funded invention is becoming widespread. And that means we’ve actually seen several polyphonic touch expression schemes this year. Rather than just presenting papers at conferences, instrumental experimenters are going to musicians and trying to fund real products. American-born, London-based composer, educator, and inventor Andrew McPherson has the latest idea. We’re a bit late to this story, but part of what strikes me about it is that readers keep sending it in — it’s not something where the novelty wore off; the idea really seems to stick. Well, stick – so to speak. Whereas lots of recent keyboard creations have required that you buy a whole new keyboard, TouchKeys adds a multi-touch, expressive surface to any keyboard you already own. You self-install overlays, and get X and Y sensing across the whole surface. TouchKeys does two things other systems can’t. First, it accepts multiple touches on the key surface. Second, it works with any keyboard you have – meaning a classic synth can be retrofitted, for instance. Photo courtesy the developer. 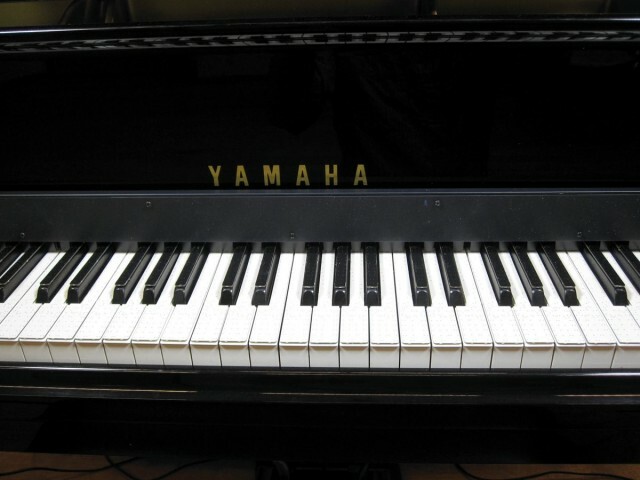 What you get in exchange, though, apart from the ability to keep your favorite keyboard, is very sophisticated sensing. The sensors not only track touch across X and Y axis, but can sense up to three points at once. They even map to pinch and slide gestures. That affords a broad range of additional expression across the key surface that other instruments generally don’t offer. The inventor, in his studio: Andrew McPherson. McPherson is a veteran of terrific programs at Drexel (where he was a post-doc with Youngmoo E. Kim), University of Pennsylvania (where he did his PhD), and MIT (a student of the likes of Peter Child and John Harbison in composition, and Barry Vercoe’s prominent program in tech). I worked on a project this summer in Lugano, Switzerland (a collaboration with Jennifer MacRitchie at Conservatorio della Svizzera Italiana) where we recorded 4 professional pianists playing a variety of classical and jazz repertoire. We used the TouchKeys alongside video motion tracking to research physical gestures at the piano, studying how pianists orient and move their hands on the keyboard in performance. It’s a different application from the controller aspects that are the Kickstarter focus, but might be an interesting side note. I’m also hoping that the data I get from the research project will lead to new and better mappings in the future. All of this leaves two major rivals at the moment for the TouchKeys. NDVR’s developers tried touch on the surface, too, in their Endeavour keyboards. But for this outing, they chose instead to use physical swing for sensing. The NDVR has a number of features to recommend it over the TouchKeys, potentially. First, it has a fraction of the cost: assuming the creators can reach their funding goal, 49 keys can be yours for a paltry US$349. That’d get you just one octave of the TouchKeys overlay – and you still have to install them on your keyboard. Second, having tried touch-on-a-keyboard schemes before, I’m intrigued by NDVR’s physical “swing” movement. It means added tactile feedback, and for some, could integrate more easily with existing playing methods – all while causing fewer accidental expressive moves that you might get with a touch system. I have also been impressed with the built quality of this maker before. All bets are off until you try these in person, though; at least with the NDVR, that should happen soon. But we do have to see whether NDVR makes it to its funding goal and happens at all, and that same “swing” mechanism that appeals to some may be less attractive to others. TouchKeys easily represents the maximum of what you can do right now with the surface of the keyboard, and the ability to use multiple fingers and gestures is unparalleled. Finally, it’s worth pointing out the QuNexus again. It uses a much simpler touch scheme, but unlike the rest of these, you can buy one now – and it’s very inexpensive indeed. That said, I’d buy the QuNexus mainly for its mobility, with added expression a bonus. And with just over two weeks to go, they’re about halfway to the funding goal. We’ll see what the CDM bump does on this one. The TouchKeys are a new musical instrument that transforms the piano-style keyboard into an expressive multi-touch control surface. 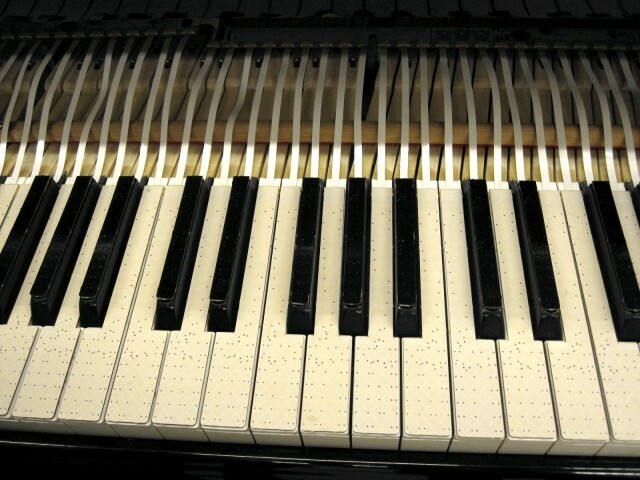 The TouchKeys are touch sensors that can be added to the surface of any keyboard, measuring the location of the musician’s fingers on the keys during performance. Traditionally on the keyboard, it has been difficult for the player to shape the sound of a note after it is played. On the TouchKeys, techniques like vibrato, pitch bends, timbre and volume changes are as simple as shaking the wrist back and forth or moving the finger up and down on the key. The TouchKeys work with any synthesizer and are especially well-suited to playing wind and string sounds, which have long been a challenge to emulate from the keyboard. A unique aspect of the TouchKeys project is that the sensors install on any existing keyboard, from the smallest portable keyboards to full grand piano sizes. This means that the TouchKeys retain the familiar feel of the keyboard while adding many new expressive techniques. Do-it-yourself kits will be available for musicians to hack their own keyboards, as well as a limited number of prebuilt instruments. The project is launching on the crowd-funding site Kickstarter, with the goal of raising £30k to fund the production of TouchKeys sets and get them into the hands of musicians. 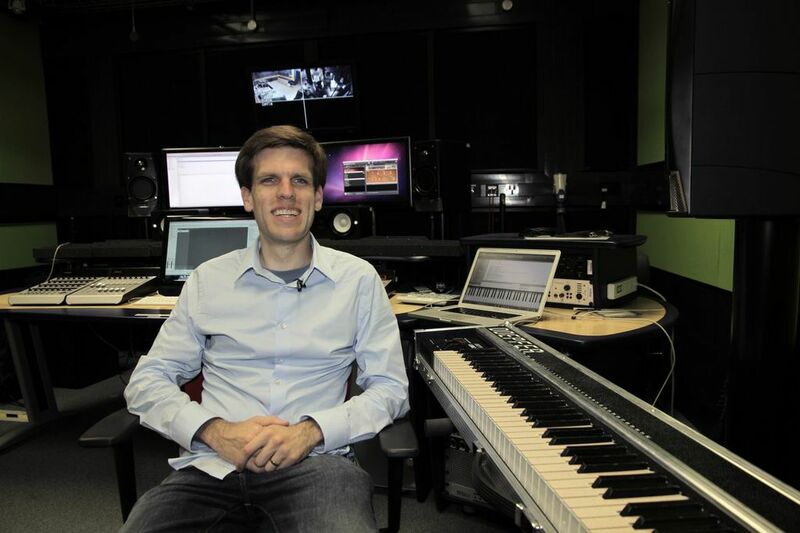 Andrew McPherson, creator of the TouchKeys, is a composer and engineer and a Lecturer (Assistant Professor) in the Centre for Digital Music at Queen Mary, University of London. He was previously a postdoc in the Music Entertainment Technology Laboratory (MET-lab) at Drexel University. His previous project, the magnetic resonator piano (electronically-augmented acoustic piano), has been used in dozens of performances worldwide over the past 4 years, most recently by the London Chamber Orchestra and the band These New Puritans.